Then there’s the Rituals Miracle Balm – I really like Rituals as a brand overall and their hand balm (the one in the green tube) is currently my handbag essential. This is slightly different – it’s richer and really hydrating instantly. A great inclusion in a box. Then there’s the three (yes, three) make-up items – the Seche nail colour. Not the most unusual shade – but I have been consistently impressed with Seche so a classic is welcome! Then there’s the Maybelline Colossal Mascara – one I’ve wanted to try, and find it pretty exciting to see such a big name brand included in the box. Rumour has it, there’s more coming from the L’Oreal family in 2014… finally there’s a pretty lip gloss from the BM Beauty Range (with Kimberly of So You Think You Can Dance/Pussycat Doll fame fronting it). A pretty shade and welcome addition. 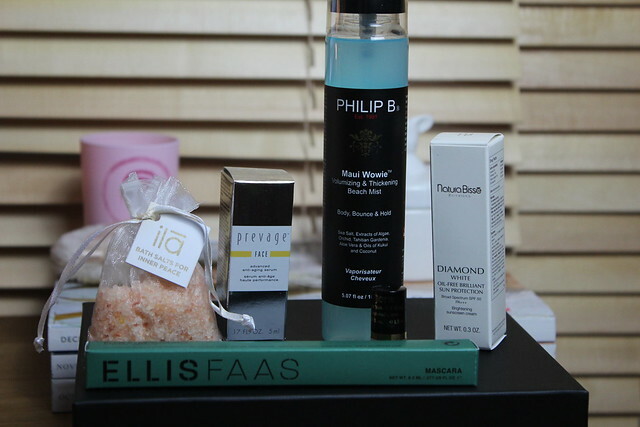 All in all, you did pull this one very much out of the bag Glossybox – I’m impressed. Not even a tiny niggle to add on this box! As a heads up, I already know about a special Bridal Beauty box coming in early 2014 (yes, I’m excited already!) 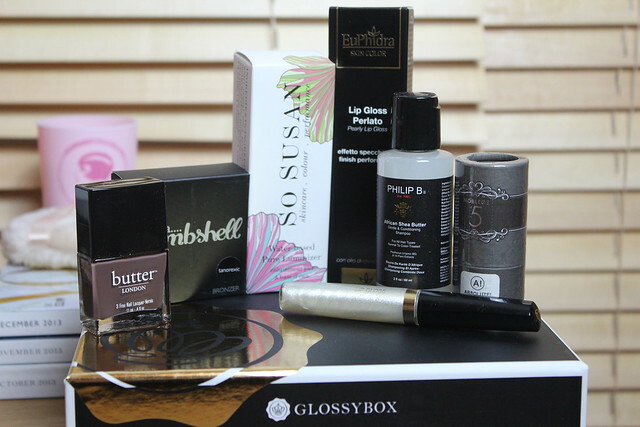 and a special box with M&S and it’s new beauty hall selection of products… plus, the very exciting news that Glossybox is actually going to be pink AND glossy as of the New Year! I know… it’s the little things that entertain me! But from what I can see, it’s one to watch – I suspect there may be some serious beauty box envy going on from former subscribers seeing what’s in the ones that are coming soon! 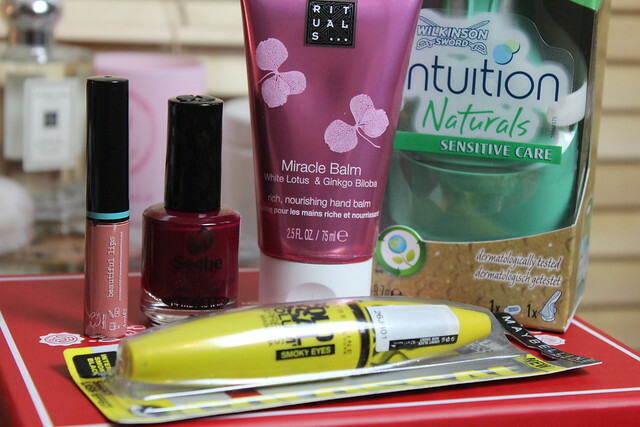 The mascara alone is quite good for the price of the box! I see such mixed opinions on these!